Billy Graham and the Shaping of a Nation is the subtitle of the book, America’s Pastor,an acclaimed sort-of-biography by acclaim-worthy Duke University historian Grant Wacker. Last weekend Wacker discussed his book at the Cushwa Center of the University of Notre Dame with a crowded, hall-full of historians of American Christianity who have been invited to enjoy the hospitality of that Center for now three decades. Wacker’s book was critiqued by Richard Bushman, expert on Mormonism and much more, and Christian Smith, a sociologist who strains beyond the disciplinary confines of his field. Both were laudatory, and, after three hours of my note-taking, I find that I (almost) never heard a disparaging word, though questions were apt and expertly handled by the panel of three. Some seasons ago we historians enjoyed a dry-run or preview of the book at the Billy Graham Center at Wheaton College in Illinois, the evangelist’s alma mater. There and then many participants talked about how their students, even at evangelical-rooted colleges (including Wheaton), have a hard time locating and relating to much of Grahamism. 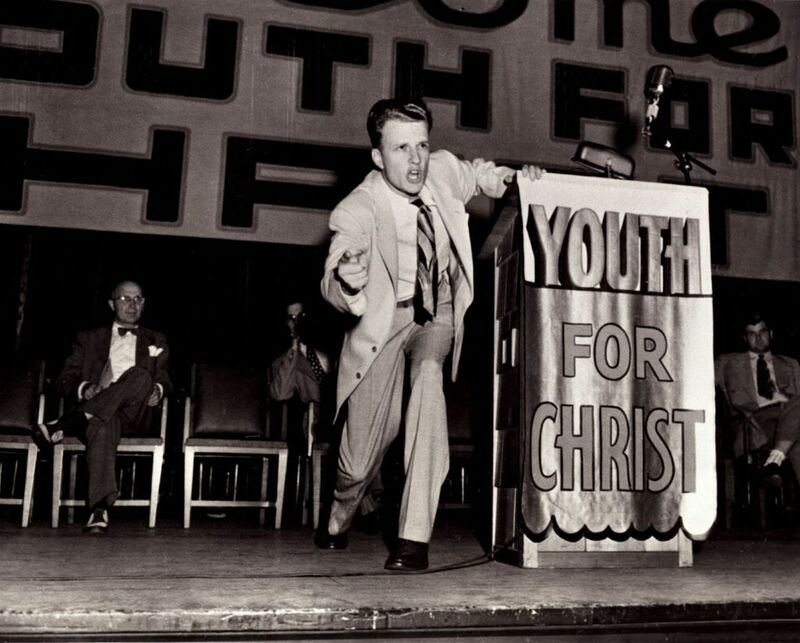 Wacker told us of letters to Graham in his prime, delivered weekly by the semi-truck full, or when Madison Square Garden was overflowing nightly during the 1957 “Crusade.” Certainly, no other Christian figure has been heard by as many people and potential converts as has Graham, who led rallies in ninety nations. The friend of U.S. Presidents, the intentionally non-political preacher was inevitably drawn into politics, and is remembered there for a mixed record, e.g. in the “social justice” areas. Now: how would I frame him? More and more I would locate his years as one episodein the long career of episodic American religious phenomena. At Notre Dame no one could come up with the name of a true potential successor, and most agreed that his legacy is mixed. But they also saw Graham as a leader in a revival that came and went. In its peak years foes and friends alike planned strategies in light of where Grahamism might go. 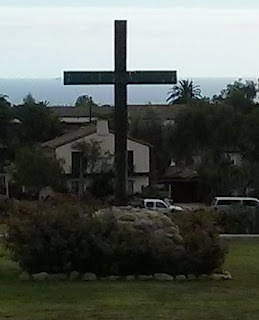 Some thought his version of Christian gathering and activity was becoming and would remain normative. But that was in the 1950s, and the episode was replaced during the fabled “1960s” and ever since. As implied here, Graham once belonged to the public, but now he belongs to the historians and sociologists. That should surprise no one and does not detract from his legacy. It merely shows that the moment and movement that he enjoyed and fashioned, or which in many ways fashioned him is now past, thanks to cultural shifts. Several commentators, led by Wacker, stressed that changes in family structure and ethos during and after the 1960s helped form our current “episode” with its declining religious participation and favor, and with its polarization in theology, politics, and practice. All of these changes make it hard to conceive of any forthcoming “America’s Pastor” or a flock for one. That does not mean that religion as such will fade and its record will only show “decline.” But it calls for new assessments, strategies, and for the religious, new resourcing in the reservoirs of hope—which, in his “episode”—Graham drew upon and, remarkably, fed. Wacker, Grant. America’s Pastor: Billy Graham and the Shaping of a Nation. Boston: Belknap Press, 2014. George, Robert P. “‘American’s Pastor,’ About Billy Graham, by Grant Wacker.” Review of America’s Pastor: Billy Graham and the Shaping of a Nation by Grant Wacker. New York Times, December 19, 2014, Sunday Book Review.http://www.nytimes.com/2014/12/21/books/review/americas-pastor-about-billy-graham-by-grant-wacker.html. Mead, Walter Russel. Review of America’s Pastor: Billy Graham and the Shaping of a Nation by Grant Wacker. Foreign Affairs (Jan/Feb 2015).http://www.foreignaffairs.com/articles/142680/grant-wacker/americas-pastor-billy-graham-and-the-shaping-of-a-nation. Olsen, Ted. “Is Billy Graham an Evangelical? Grant Wacker’s comprehensive portrait displays the tension between ‘America’s pastor’ and ‘evangelicalism’s architect.’” Review of America’s Pastor: Billy Graham and the Shaping of a Nation by Grant Wacker. Christianity Today, February 6, 2015, Reviews.http://www.christianitytoday.com/ct/2015/february-web-only/is-billy-graham-evangelical.html. Swaim, Barton. “The Gospel According to Billy Graham: Billy Graham believed that if you can influence the most important people in a culture, you can influence everyone in it.” Review of America’s Pastor: Billy Graham and the Shaping of a Nation by Grant Wacker. Wall Street Journal, December 19, 2014, Life & Culture/Bookshelf.http://www.wsj.com/articles/book-review-americas-pastor-by-grant-wacker-1419026666. Photo: Billy Graham at age 27; Credit: Richard Bromley / flickr creative commons. NOTE: If you would like your comment to appear with the archived version of this article on the Marty Center's website, please provide your full name and indicate, in the subject line of your email, POST COMMENT TO [title of Sightings piece]. For Sightings' comment policy, visit: http://divinity.uchicago.edu/sightings-policies.